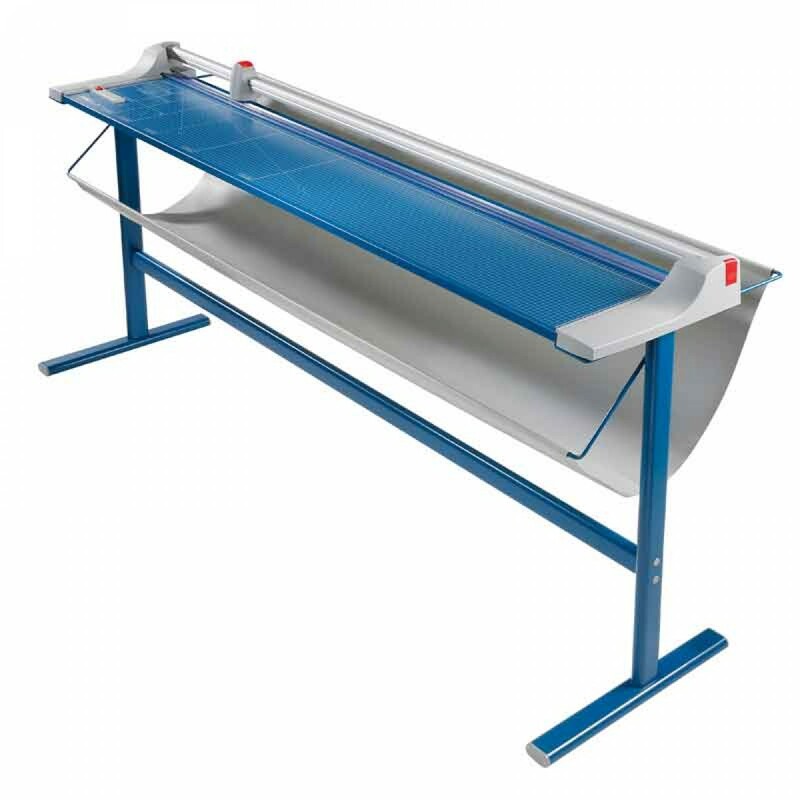 The Dahle 472s Premium Series 72" Large Format Rotary Rolling Trimmer with Stand saves time and money. Rolling Trimmers are the new generation of paper cutters. Designed for safety and accuracy, the round cutting blade is encased in a protective housing that virtually eliminates the chance of personal injury. Therotary action of the blade allows the trimmer to cut in either direction and sharpen its blade along the way. Its this self sharpening action that produces a clean burr-free cut and guarantees many years of smooth precise cutting.